Neither a non-resident business entity nor a non-resident individual without permanent establishment in Korea is obliged to register for VAT purposes. There are two return periods each year, i.e. 1 January to 30 June, and 1 July to 31 December. However, preliminary VAT returns are required for the periods 1 January to 31 March, and 1 July to 30 September. 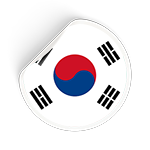 The VAT return should be filed within 25 days (50 days in the case of a foreign company's Korean branch) after the end of each calendar quarter.